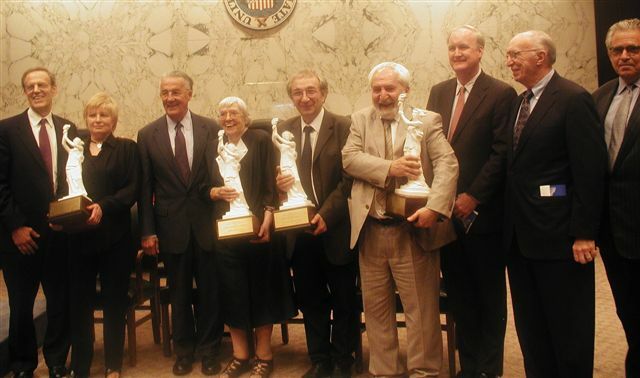 On June 9, the National Endowment for Democracy honored leaders of organizations known as the backbone of the democracy movement in Russia and the principal bulwark against the return of tyranny. Many of them are human rights organizations that protect basic freedoms and defend the most vulnerable population groups. Others are associations of independent journalists and organizations that both educate citizens about democracy and preserve the society’s memory of those who perished under communism. Still others are watchdog groups that promote transparency and government accountability; ecological organizations; independent research centers; election monitoring organizations; groups that provide independent information about the war in Chechnya; and many others.